Promote and protect new and existing program of land conservation for equine activities. 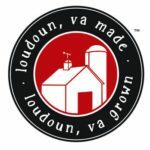 Promote the attraction, retention and expansion of equine related businesses in Loudoun County. REDC has a short survey for rural business owners. The survey should take no more than 10 minutes to complete.